Play this classic game in an improved version including new graphics and music! 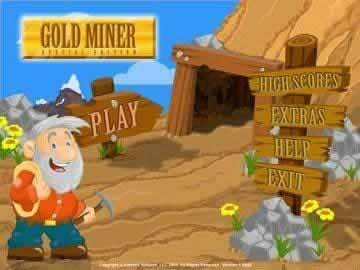 You have played Gold Miner and loved it. Now you can play a new edition while enjoying the same features you used to love! There are new graphics, new music and new surprises. 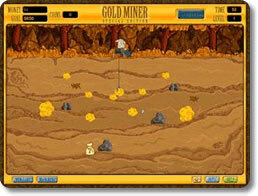 If you like Gold Miner, then you will definately like this special edition of the game! This simple game will provide hours of fun. The graphics in this game are improved over the older versions, yet remain simple for users with slightly older systems to still enjoy peak performance. 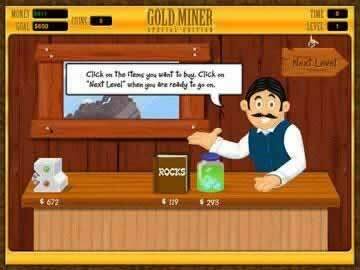 Enjoy searching for Gold and reaping the benefits as you discover new mines! Great game for casual fun!